The evening of 17th Dec,2017 will surely be memorable for poetry lovers of Noida. 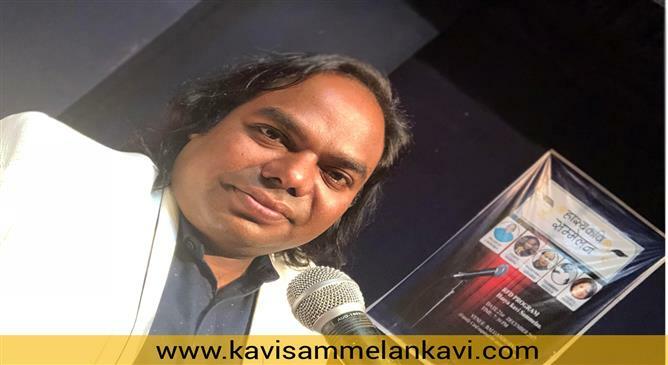 A grand kavi sammelan was organised by 'Varshney Samaj' at Noida inviting the most famous and eminent poets listing hasya kavi Shambhu Shikhar, kavi Pawan Agri, kavi Prateek Gupta and a very much renowned poetess Mamta Varshney. 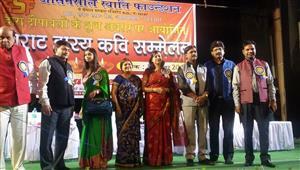 This was a much awaited Kavi Sammelan because of the listed performers. 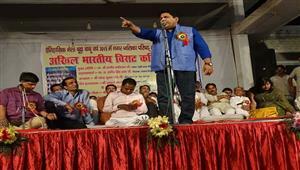 Hasya Kavi Shambhu Shikhar again proved to be the chucklesome and remarkable poet. His fresh muktaks are quite enough to blow off the audience's mind. 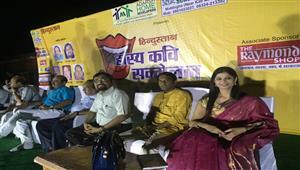 Hasya Kavi Shambhu Shikhar is setting a new trend over stages. His expressions boost up his words. 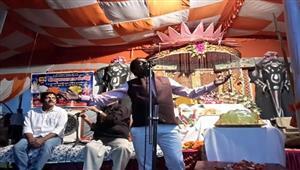 People simply can't resist to demand multiple times recitation of his hit-fit poetry. Hasya Kavi Shambhu Shikhar has a wonderful collection of hasya Kavita along with perfect punches and slangs that drives the audience into the Tunnel of Laughter. 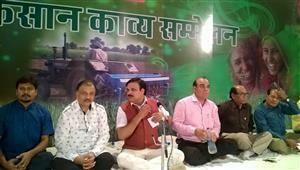 Kavi Pawan Agri from Agra was fantabulous on the stage. He has a surprising sense of humor that tickles the audience every second. Kavi Pawan Agri is known for his wit and spontaneous reactions. He transformed the environment into an even more delightful one. While delivering his power pack performance he had a full-on contact with his audience that makes the bond even stronger. 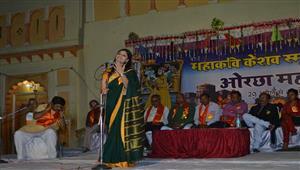 Poetess Mamta Varshney is blessed to have a magical and melodious voice. She is a fantastic geetkar with an ability to touch every heart there. Poetess Mamta Varshney is very tuneful and easy on the ear with a mature thought and voice. Kavi Prateek Gupta is amazing at hasya and vyangya poetry. His every strike is to the point and easily touches the perfect nerve of the audience.